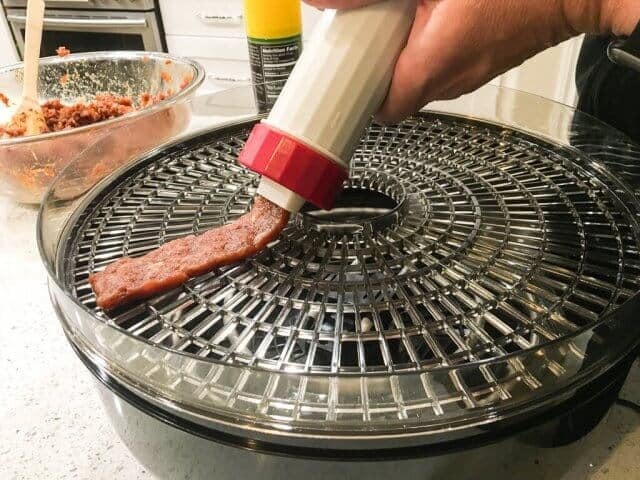 We are reviewing the Ronco Dehydrator, Beef Jerky Machine after making 6 batches of beef jerky. This review features both PROs and CONs of the product. Every one of us in the family is an avid tennis player, the boys and Scott play three times a week, and I play every single day. I’ll take outdoor tennis courts any day over the gym! But that also means we are always looking for snacks that are portable, can be thrown in the tennis bag and are nutritious. 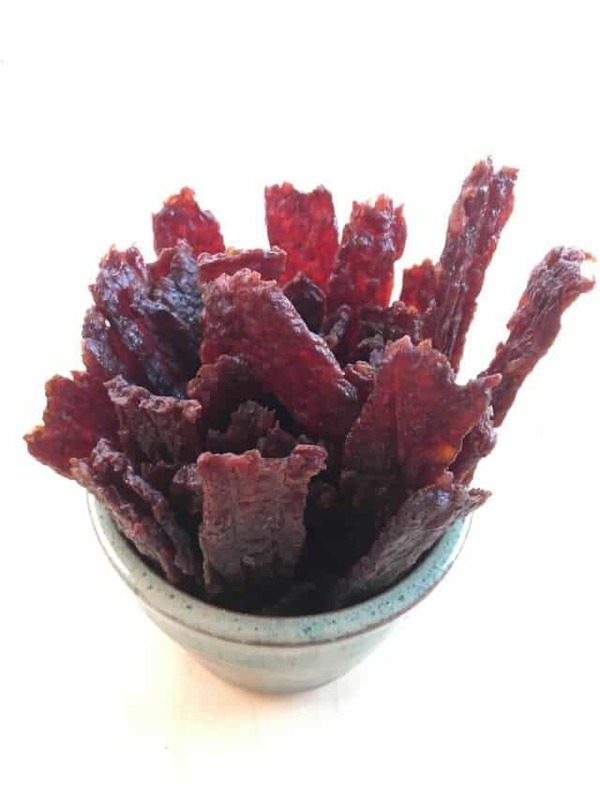 Our choice is always jerky….beef jerky, pork jerky, turkey jerky….we love it all. It’s also very expensive to purchase in bags, so we make our own. (Here’s my recipe for Korean BBQ Beef Jerky). 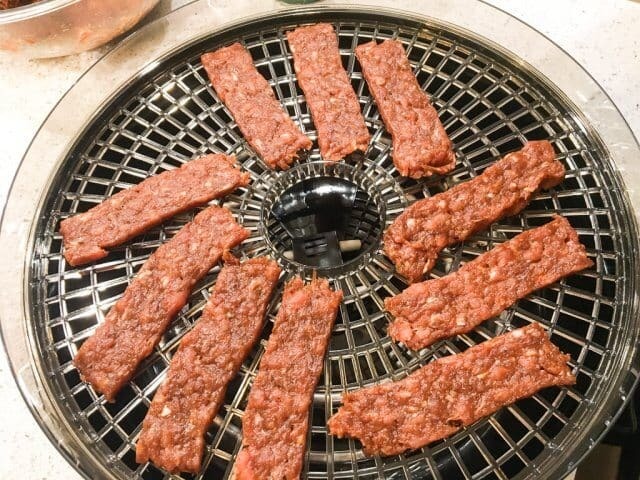 Our normal setup is a 200-watt Kalorik Meat Slicer (less than $100) and a very fancy Excalibur 5-Tray Dehydrator ($210). The meat we love using is London Broil, for its flavor, little connective stringy bands and little fat, which goes for $10 per pound. Five pounds of meat = 1 pound of beef jerky. 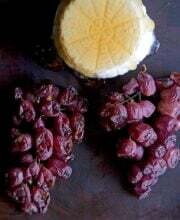 It’s an expensive snack! We wanted to try something more affordable. 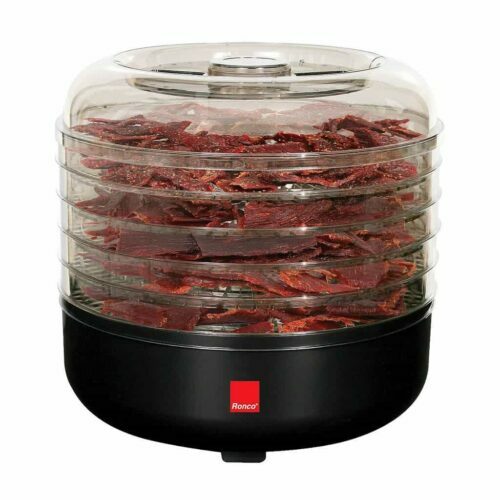 The Ronco Beef Jerky Machine is definitely affordable, at less than $35. 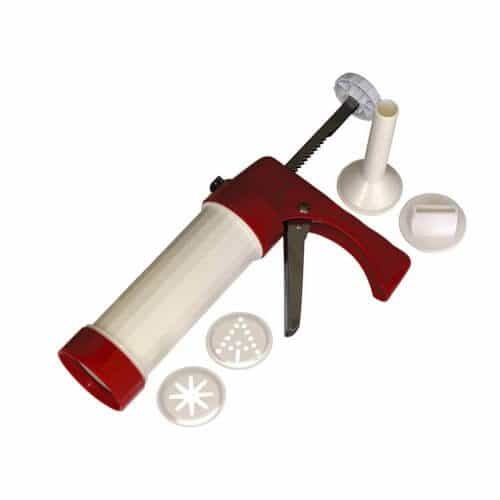 The package includes a beef jerky extruder with several tips to use with ground meat, instead of steak. Ground meat is cheaper. Depending on where you live and where you shop at, ground beef is $3.50 per pound, up to $5.99 per pound. Steak, like London Broil, is $9.99 per pound. 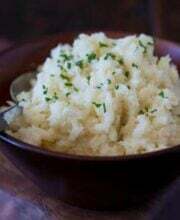 Different texture. 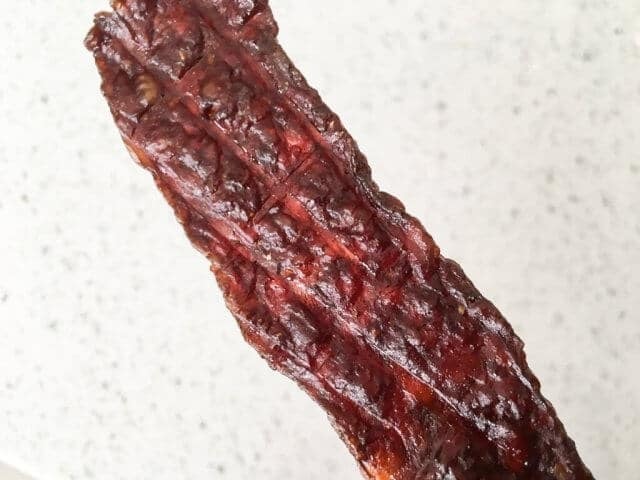 Jerky made with whole meat is chewier, with connective tissue. Note- I don’t use sodium nitrate to cure the meat, which also changes the texture of jerky. I only slice, marinate and dehydrate. It’s definitely a work out with your jaw! Jerky from ground meat still has a chew factor, but definitely softer, easier to chew, easier to pull apart. Better flavor but more fatty. When using London Broil, I like to marinate overnight to allow the seasonings to penetrate the fibers. 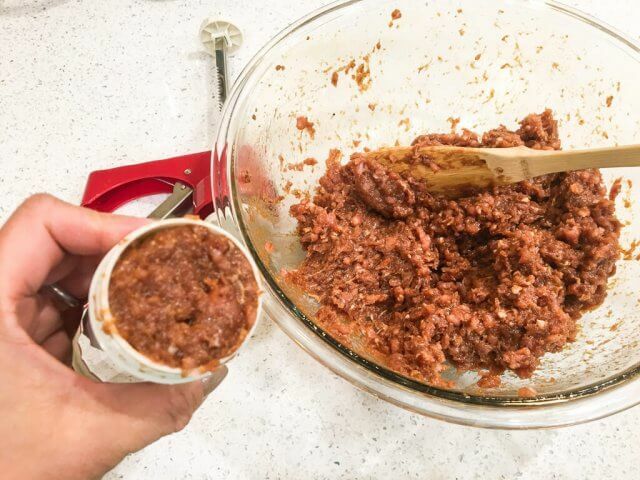 With ground beef, I don’t have to marinate for hours, just mix in the seasonings, fill the tube and you’re ready to go. Ground beef is fattier than London Broil. But….you could grind your own meat and control the amount of fat. Chicken or Turkey Jerky….is much better using ground meat. If you use sliced chicken or turkey breast to dehydrate, it becomes like dog treats. After years of whole-meat sliced jerky, the ground beef jerky was a fantastic change! It’s so much easier on my jaw, easier to eat and definitely better on the pocketbook. Mix spices (we used soy sauce, ginger powder, garlic powder, black pepper) into the ground beef. Fill up the jerky gun. The gun has a ratcheting mechanism that makes it super easy to extrude. PRO: Simple to use, very easy to clean – all parts dishwasher safe. CON: I wish the tube was bigger to hold more ground beef. We had to stop frequently to refill. 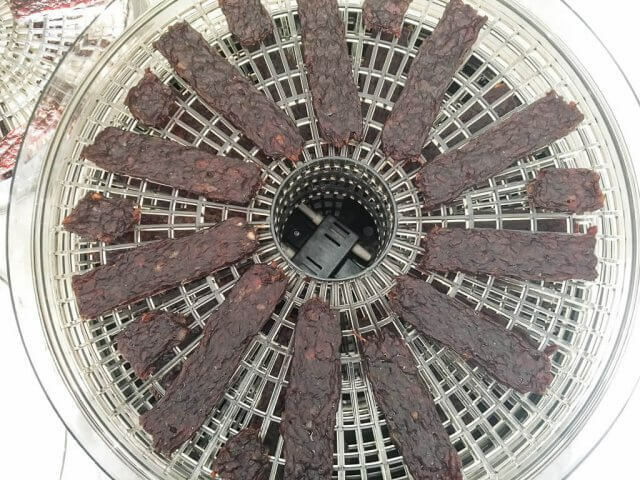 Because the dehydrator is round, it’s a little awkward to fit the jerky slices. The fancy Excalibur dehydrator that I have been using in the past is LOUD. A fan blows the hot air to circulate, and we have to put the dehydrator outside on our patio just because its so annoying. The flies love it. PRO: No noise! No fan, so it runs very quiet. So quiet, that if it wasn’t for the beef jerky aroma, you would forget it was running. The heating element is on the bottom of the machine, and the hot air rises, so you have to rotate the trays more often for even dehydrating. But I’d much rather have a quiet machine with no fan, and rotate the trays a couple times more. The reason the Excalibur has a fan is because the trays insert horizontally, so the fan has to blow the air horizontally. 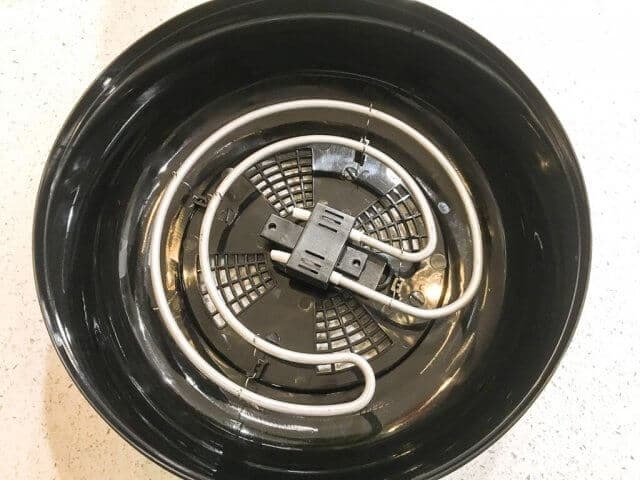 CON: The heating element is exposed, so don’t drip any marinade. CON: After the first batch of beef jerky, our machine stopped working. Perhaps a wire got loose, motor got wet….I’m not sure (that’s one of the problems with having machine exposed and on the bottom). Ronco promptly sent a new machine out. We let the Ronco Dehydrator run overnight. 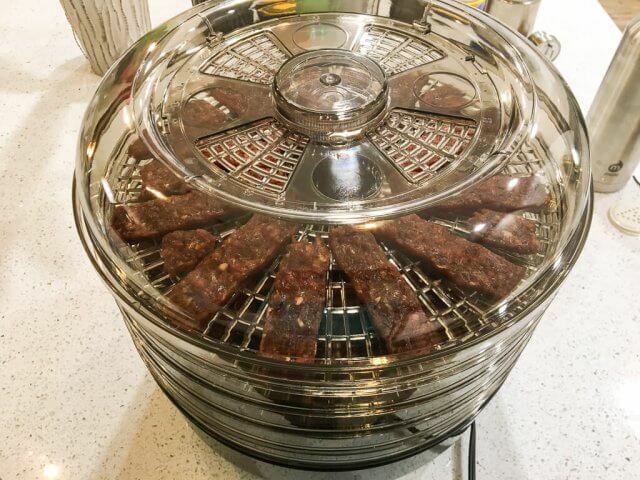 For our second batch, we made PORK jerky – marinated Korean BBQ style. Did you know that pork jerky is more popular in Asia? In conclusion, I LOVE this machine. I don’t have to drag out my meat slicer. It’s quiet, affordable. The package includes the jerky gun with different tips. Make your own beef jerky! PRO: I actually really love the Ronco brand (no, this isn’t a paid endorsement), my favorite favorite way to make fool proof, 1 step prime rib is with the Ronco Rotisserie. Here’s my review of the Ronco Rotisserie machine.